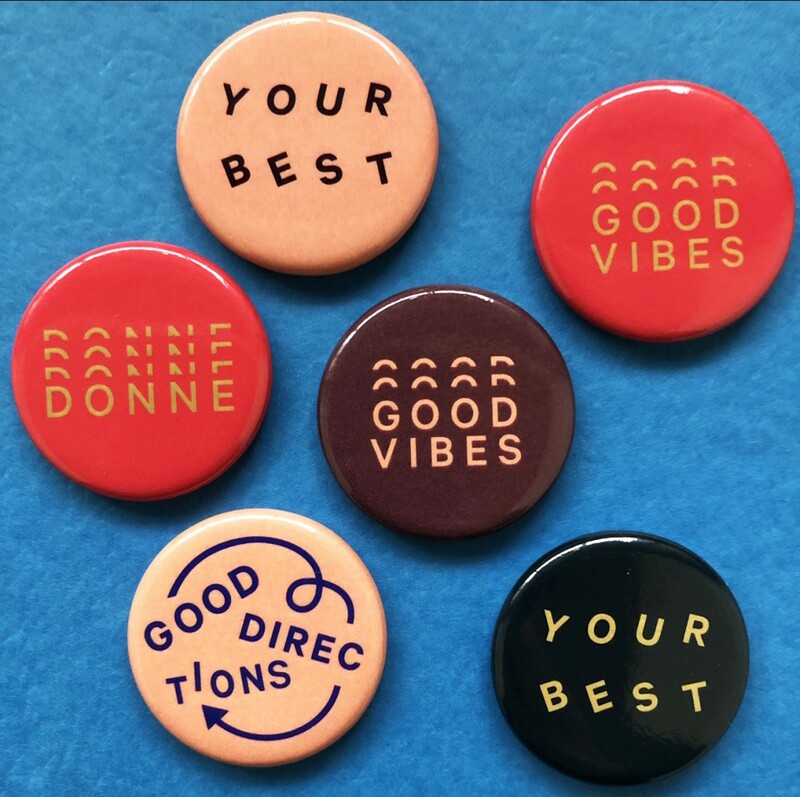 Lululemon teams up with Six Cent Press to produce and ship 100,000’s of buttons to 495 locations worldwide for a #feelgoodgiving campaign this Holiday season. Before lululemon athletica became a standalone company with more than 300 locations worldwide to date, it operated as a single studio in Vancouver, Canada that split its identity between design and yoga. Founded by Chip Wilson in 1998, yoga continues to play a central role in the mission and philosophy of the company that’s brought us feather prints, sweat-wicking Energy Bras, ABC joggers for men, and global ambassadors that push us to reach our fullest potential. Like yoga, lululemon wishes to rejuvenate bodies, minds and lifestyles through the gear they sell, activities they encourage, and communities they help build.